Results from a series of tests using an AI system designed to recognize the symptoms of congenital cataracts were recently released. These results clearly show that AI systems are able to diagnose eye diseases just as accurately as human doctors. Researchers in China named this AI system CC-Cruiser. CC-Cruiser is more commonly known as an "artificial neural network" in the scientific community. Scientists based their design of CC-Cruiser on neurons in the region of the human brain that deals with vision. Chinese researchers wanted to see if using these neural patterns could help AI systems effectively detect rare eye diseases. Interestingly, researchers said they were first inspired to design CC-Cruiser after the AI company DeepMind developed AI software capable of beating human players in a Atari video game. Since AI could play games better than humans, the Chinese doctors wondered if AI software could perform diagnostic screenings just as well as trained ophthalmologists. After designing CC-Cruiser, the engineers "trained" the AI software by having it scan various photos taken from the Childhood Cataract Program of the Chinese Ministry of Health. 476 of these photos showed children with normal eyes, while the other 410 pictures showed children with congenital cataracts. Once the training session was completed, researchers gave CC-Cruiser data from 57 patients, 14 of whom had congenital cataracts. Doctors were stunned to learn that CC-Cruiser diagnosed congenital cataracts correctly 98.25 percent of the time. Even more astonishing, CC-Cruiser was able to pinpoint the exact location of the cataract with 100 percent accuracy. CC-Cruiser also gave useful treatment advice in 92.86 percent of the cases. Researchers then upped the difficulty significantly by giving CC-Cruiser 303 images of child patients, only three of which were congenital cataract cases. Once again, CC-Cruiser was able to detect the three cataract cases and suggest proper treatment options. The only test CC-Cruiser didn't prove as successful with was a test using 13 normal eye images and 40 pictures of eyes with cataracts taken off the World Wide Web. CC-Cruiser identified the cataract cases with only 92.45 percent accuracy, pinpointed the cataract location around 94.87 percent of the time, and recommended the best treatments for patients 89.74 percent of the time. Although these numbers were lower, doctors admit that pictures taken on the Internet vary widely in terms of resolution and lighting. CC-Cruiser was later tested against three human ophthalmologists. The three ophthalmologists ranged in skill levels from an expert to a novice. Both CC-Cruiser and the eye doctors looked at 50 different patients hand-selected by the researchers. At the end of the test, researchers found that CC-Cruiser was slightly better at diagnosing and offering treatments to congenital cataract patients than the eye doctors. Researchers involved in this study have set up a website that can be used by hospitals to help diagnose and treat various rare medical conditions. The people behind CC-Cruiser believe this technology could help millions of patients with rare medical conditions get the help they need. Some of the doctors even compared CC-Cruiser to a real-life Baymax, the lovable health care robot from the popular Disney film "Big Hero 6." Congenital cataracts affects about 0.4 percent of newborns around the world. 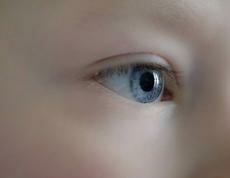 Infants with this eye disease often require cataract surgery. For more information into CC-Cruiser, people can take a look at the January 30th edition of the journal Nature Biomedical Engineering. Researchers published this study under the title "Artificial Intelligence Can Diagnose Congenital Cataract."